If you are like many homeowners around the country, the appearance of your home is a testament of the hard work and care that goes into maintaining your home’s exterior and its surrounding landscape. Unkempt landscaping can looks messy and chaotic, causing your home to lack the aesthetics necessary to leave your friends and family in awe. However, by carefully planning the design of your landscape and its lighting, you can ensure that your home’s exterior is as breathtaking as its interior. That’s why, in today’s article on landscape lighting, we will be taking a look at a few of the best tips that you should consider in order for your landscape to exude class. With more than 30 years of expertise, Distinctive Lighting has remained as the top lighting showroom for residents of Bozeman and the surrounding area of Gallatin Valley. From the latest pendant, task, and ambient lighting, to fans, wall sconces, and chandeliers, you will be relieved knowing that all of your lighting needs can be found under one roof. In fact, we supply our customers with more than 200 lighting manufacturers to choose from for the most in customer satisfaction. To learn about some of the top tips for lighting your home’s landscape, continue reading more on the subject below. Lacking the proper knowledge and techniques that are used when designing landscape lighting can result in a less than desirable outcome, leaving you frustrated and disappointed in your work. This is why it is important to know what kind of effect you are trying to achieve beforehand, so that you don’t make unnecessary purchases on products that aren’t intended for exterior lighting. Before you begin looking at lighting products, first consider which areas of your home’s landscape that you are trying to highlight. You should avoid lighting every area of your landscape, as landscape lighting is intended to draw attention to the most aesthetic features surrounding your home. As such, focal points such as beautiful trees, perfectly trimmed hedges, or a glorious water feature are all excellent candidates for receiving ample exterior lighting. Since no two landscapes are the same, you should strategically plan the placement of your landscape lighting for the most aesthetic outcome possible. Once you have come up with a method for illuminating the foliage of your home’s exterior, you should then begin to consider which type of lighting will work best around your home’s landscape. There is almost an infinite amount of ways that you can choose to illuminate your landscape depending on the effect that you are trying to achieve. 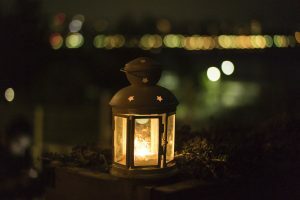 For example, if your landscape’s main focal point is a beautiful gazebo, you may want to lead the viewer’s eye towards it by using strategically placed path lighting. 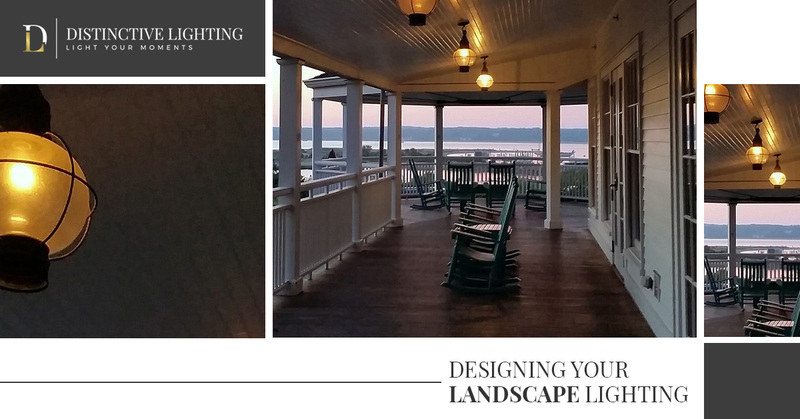 By combining warm path lighting with spot lights placed around the edging of your gazebo, you can ensure that its structural beauty is put on full display for all to see. Alternatively, you may want to draw the eye towards one of your home’s mature trees. Spot lights are exceptional for painting trees and foliage with light, as they generally emit light within a 15 to 45-degree beam. The end result is a perfectly lit piece of foliage that will catch the eyes of passersby with ease. While choosing lighting options for your home’s landscape may seem straightforward, you will also want to keep in mind that certain foliage and structural features around your home’s exterior will look much more pleasing while possessing the proper shades of lighting. This is why the color of light you choose is equally as important as the type of lighting itself. There are typically two main types of colors that a light can emit. Depending on your light bulb of choice, your light fixture may put off a cool hue with shades of blue, or a warmer hue that offers golden shades of yellow. These specific shades can be found on the Kelvin scale, a unique color scale that measures the temperature of light. The cooler a light is, the closer it will appear as natural light. However, warmer lights will typically give off a similar hue as sunlight, making it a great choice for cozy, ambient lighting. After learning this information, you may be left wondering which shades look best for specific areas around your landscape. A good rule to keep in mind when choosing your landscape lighting is to consider how different colors interact with one another. For example, trees and shrubs generally possess greener hues when compared to a stone water feature. As such, you will want to choose a lighting color that makes green shades pop, so that your trees and shrubs will stand out from the rest of your landscape. Cooler, blue lighting is great for accentuating green hues, making them an excellent choice for illuminating foliage. Alternatively, warmer hues typically make natural, earthy tones appear much richer in color. This is why warm lighting is perfect for placing around boulders, water features, and patios made from natural stone. While these are just a few brief tips on how to best light your home’s landscape, they will provide you with a great starting point for acquiring the light fixtures and bulbs you need to transform your home’s landscape from boring to brilliant. If you are in need of the right lighting products at a price that you will love, pay a visit to Distinctive Lighting’s showroom today! Our team of friendly professionals are trained to provide you with the advice needed so that you may complete your next lighting project with ease. Visit our lighting showroom today to get started!